You will be a rock star!! 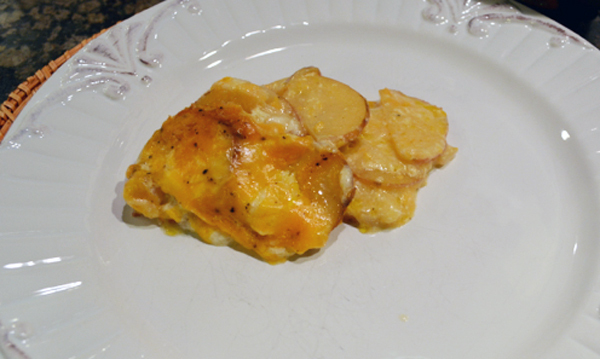 I adapted this recipe from Corey at Fresh Family Meals, thanks Corey! Pin now for the holidays! 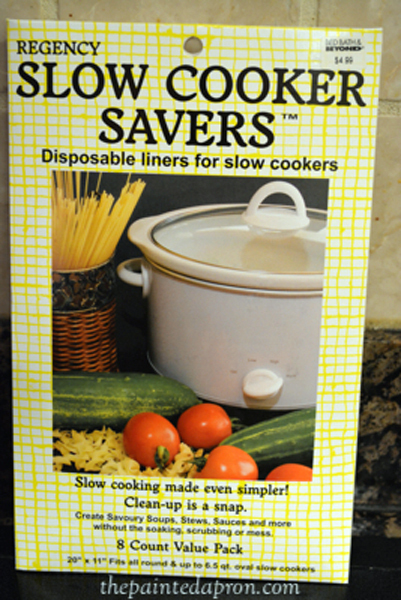 Note: do yourself a huge favor and get some slow cooker savers. 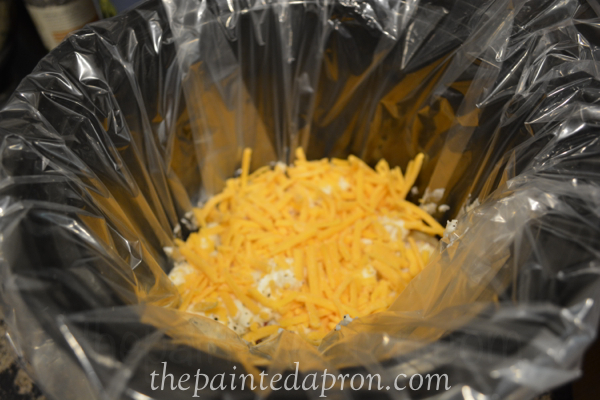 These plastic bag style liners fit both standard and large oval slow cookers, and if you have leftovers, just lift the bag out and twist tie the top shut and the bag is ready to go straight to the refrigerator. Food is put away and there’s no pot to scrub! Oh my Jenna…I’m a potato girl. Give me potatoes any day over something sweet! 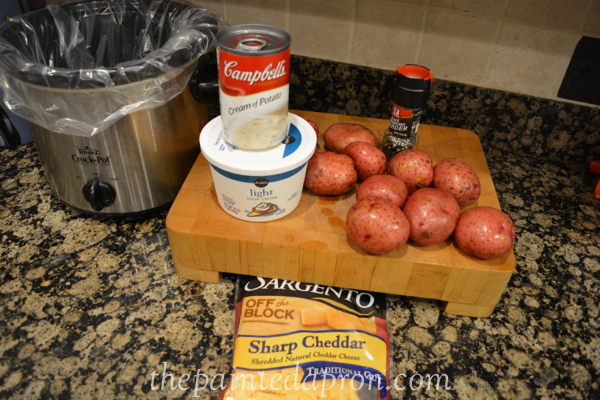 Love the cheesy goodness and this recipe for the slow cooker! 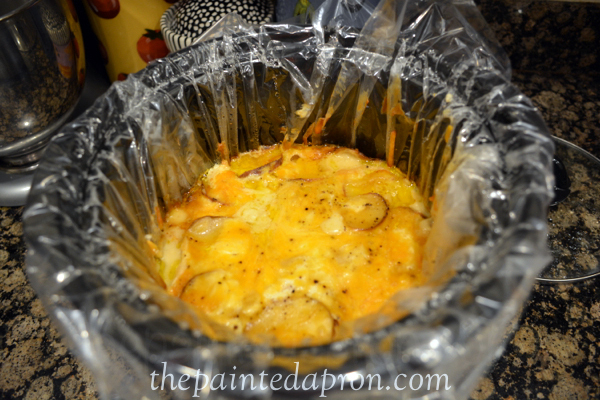 Scalloped potatoes in the slow cooker….. I love it! Thanks for the tip about the liners. They could definitely come in handy. All of my family enjoys potatoes, especially casseroles. 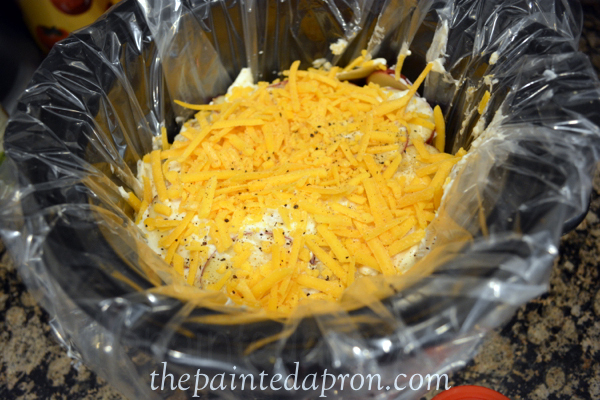 I love this easy dish, and yes using the crockpot during holidays with so much going on in the kitchen is very helpful. 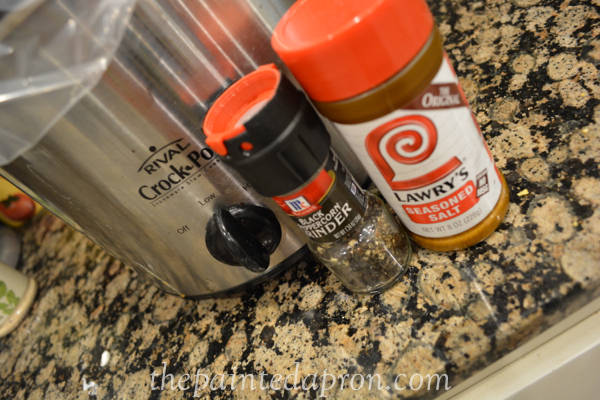 Thanks for the recipe and crockpot idea. I will certainly be making this recipe……………. Love the recipe. Go to the grocery store and buy an inexpensive madelaine (spelling ?) to slice your potatoes. You will not be sorry – much, much MUCH easier! Thanks Patty! You know what, I totally forgot that I had one! 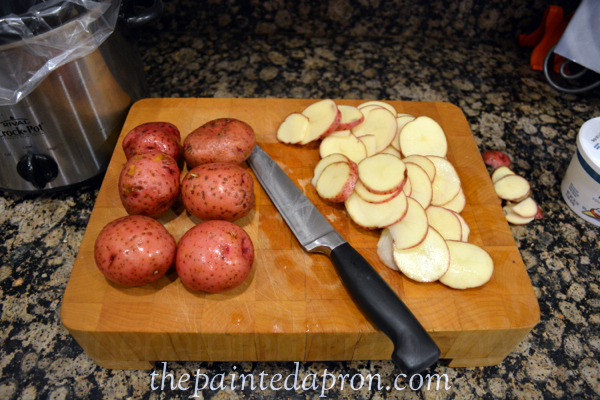 It really wasn’t hard to slice the potatoes though, but thanks for the reminder, next time! I love when I can keep my oven free for other things during entertaining dinners. Thanks. YUM! Holiday nothing! I could eat this dish all.the.time! 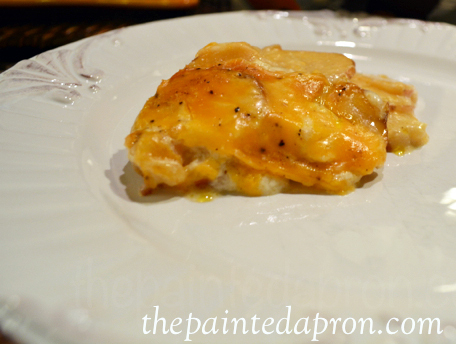 I love cheesy potatoes! Looks delicious! 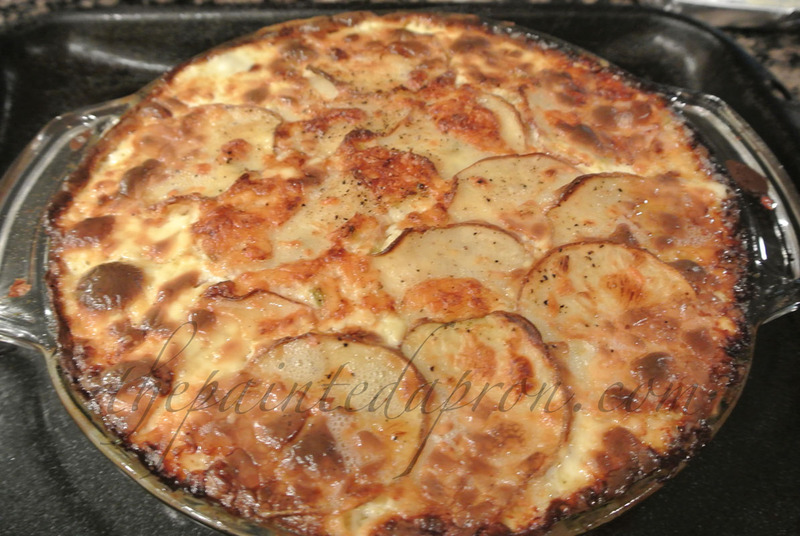 I adore scalloped potatoes! Yummm! These potatoes look amazing! And in the Crockpot! So awesome. Pinning! Thanks Michelle, these couldn’t be easier! I want that serving with all the cheese on top, oh my yes! Thanks so much for sharing your awesome post with Full Plate Thursday and have a great weekend! These look incredible! Thanks so much for the recipe. I’m pinning this to my Potato and Slow Cooker boards. These look scrumptious! 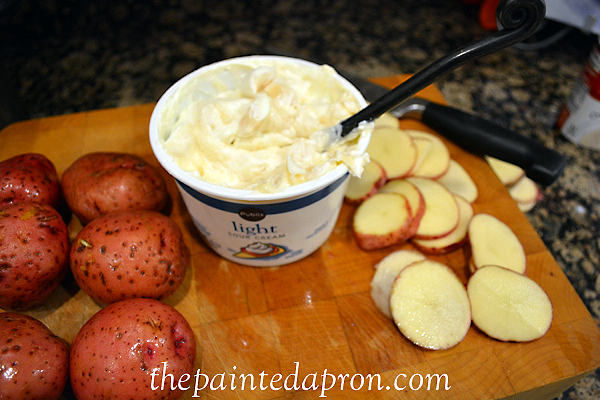 Thanks so much for the recipe – pinning to my Potato and Slow Cooker boards. These look amazing! 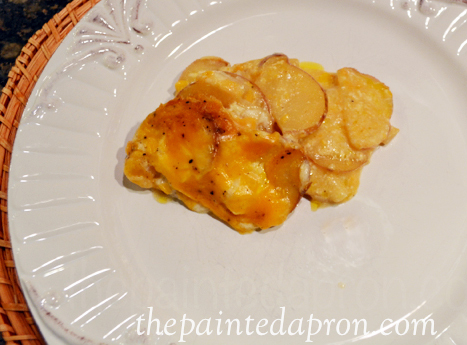 We love scalloped potatoes too, I am pinning this to try really soon and I need to get some of those crock pot liners makes things a lot easier to clean up I would imagine. Thanks Kristen, you will love the liners! Wow! My favorite vegetable…and dairy product. ;-0 You’re talking comfort food here! You’re right potatoes are vegetables!! Takes all the guilt right away! !